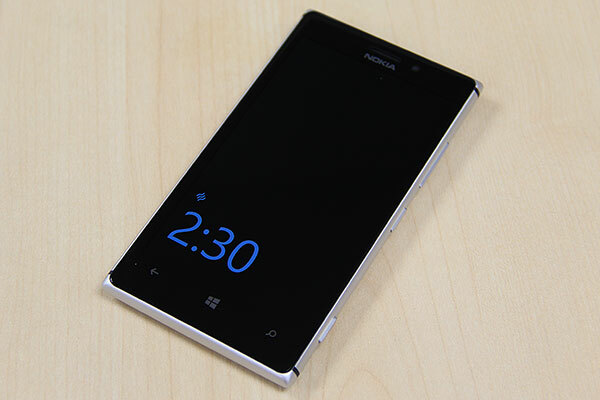 Nokia Lumia 925 - Just a Slimmer Lumia 920? 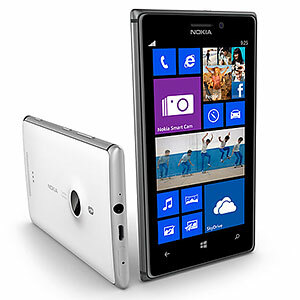 For a long time, the Nokia Lumia 920 was the best Windows Phone 8 smartphone out there, with a good screen, excellent build quality, beautiful design, and a massively improved camera (compared to the Lumia 900, that is). The updated Windows Phone 8 OS was also tastefully done, and is now generally accepted to be a credible alternative for those willing to look past Android or iOS. But at a time when competing smartphones were getting bigger screens and ever slimmer enclosures, the Lumia 920 was (to many) too thick and too heavy. 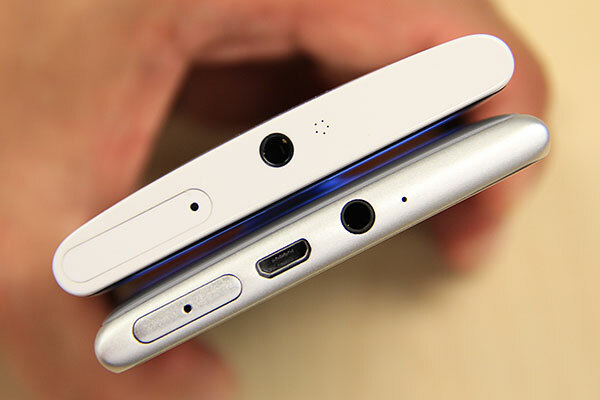 (Refresher: At that time, the Samsung Ativ S was about 20% thinner, and the HTC Windows Phone 8X was 30% lighter.) While some were able to overlook that bulkiness (in all likelihood, it's for the 920’s PureView camera and its built-in Qi wireless charging), it’s safe to assume that there were more who couldn’t. Of course, if one’s willing to go one rung down, there’s the much thinner Lumia 820, which sports the same processor but with longer battery life thanks to an AMOLED screen. But it also comes with a lower-res screen and a slightly inferior camera. Outwardly, Nokia has ditched (partially) the thick and heavy polycarbonate monoblock that the Lumia line is known for in the 925. The phone now uses a combination of a polycarbonate rear and an aluminum frame (which also doubles as the antenna). 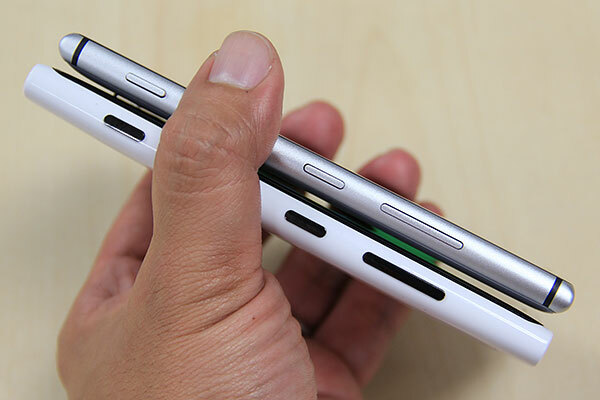 Since the latter wraps around the sides of the phone, your finger tips will inevitably come into contact with the metal as you grip or pick up the phone, immediately giving you the impression that you’re holding a premium device. It’s a clever way of making an luxurious-feeling phone without resorting to an aluminum unibody. And perhaps in an attempt to highlight the material change, the 925 only comes in three color configurations: black (both frame and back), silver frame with gray back, and silver frame with white back. Want some colors? Getting a snap-on wireless charging case is one option. And then there’s the size and weight of the 925: It’s about 20% thinner (8.5mm vs. 10.7mm) and 25% lighter (139g vs. 185g) than the 920. If chunky is the word to describe the 920, the word for 925 is svelte. 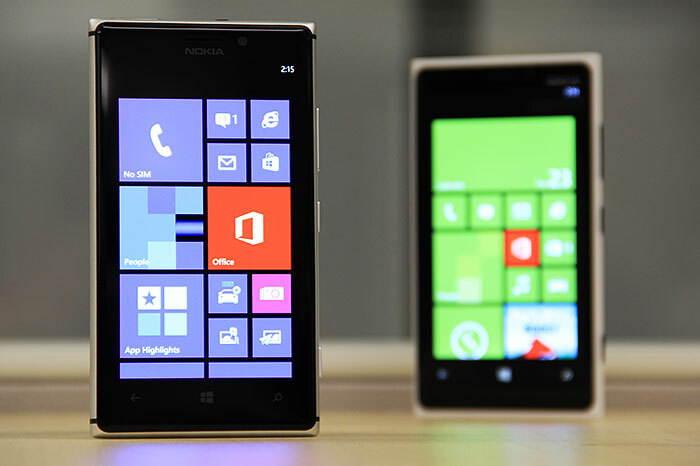 The Lumia 925 comes with a Gorilla Glass 2-protected 4.5-inch screen that packs 1,280 x 768 pixels, the same as the 920. But the display tech is different: AMOLED on the 925 versus IPS LCD on the 920. 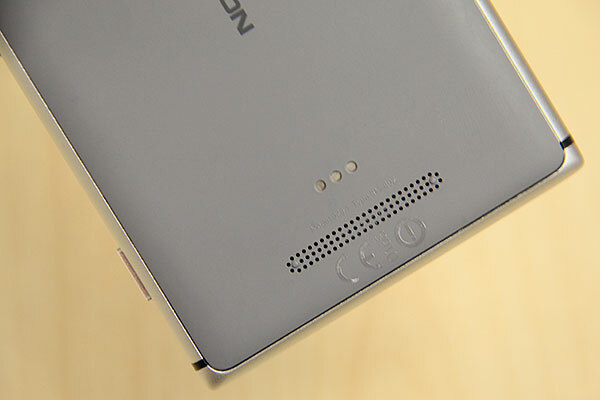 The switch to the thinner AMOLED panel is another reason why Nokia is able to slim the 925 down so much. If you’ve used a Samsung Galaxy smartphone with an AMOLED screen before, you’ll know how it looks like: Colors are very vibrant, and seem to jump out at you. Coupled with super-deep blacks and superb contrast, it’s the perfect match for a Windows Phone 8 interface that’s choked full of colorful tiles and black backgrounds. On a black 925 especially, the near edge-to-edge screen is stunning. Those who like to tick checkboxes in a specs list will be quick to point out that the display doesn’t have a full HD resolution (as it currently stands, Windows Phone 8 doesn’t support it yet, so there’s nothing Nokia can do), and it uses a PenTile sub-pixel layout. To that, we'll say that for most people, there’s no meaningful difference. Pixel density is still high for its size (332ppi), which means screen graphics maintain good sharpness. And unless you’re a pixel peeper, you shouldn’t notice any fuzziness. More importantly, the screen reacts very well to touch, even if you’re wearing gloves. It goes pretty bright too; this along with Nokia’s anti-reflection ClearBlack screen tech means that legibility under bright sunlight is also very good. But that’s not all. Remember we say that AMOLED screens have very saturated colors that seem to pop out at you? Some people don’t like that. 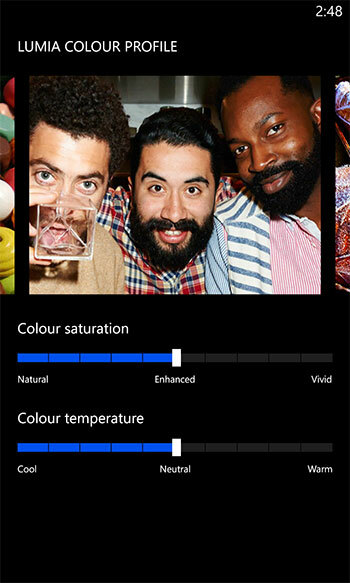 In the Lumia 925, there’s a feature that not even the Samsung Galaxy S4 has: color profile. More specifically, there are 11 color saturation and 11 color temperature levels to choose from. Want less vivid and more natural colors, or find a picture to look bluish and want to bring more warmth into it? 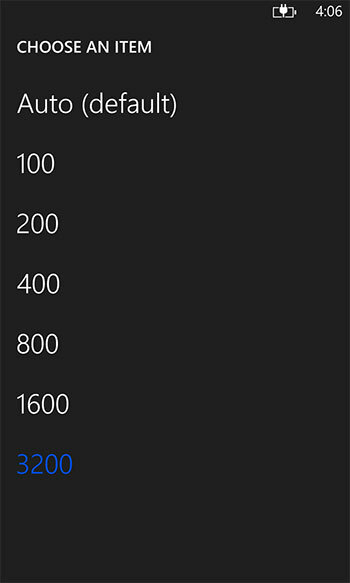 Then check out this Lumia Color Profile setting (under Settings app > System > Display+Touch > Display). By the way, in the Touch settings panel, you now have to option to double-tap to wake up the phone. 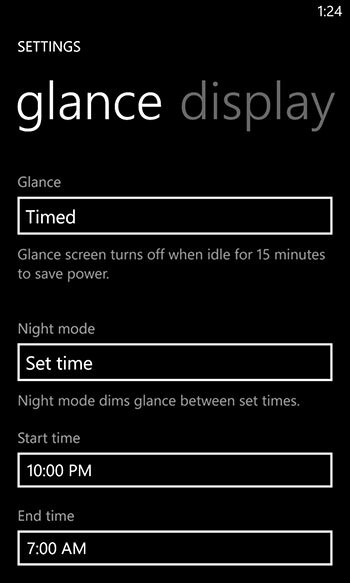 And last but not least, there’s Glance Screen (under Settings app > System > Display+Touch > Glance), which displays a clock on the screen when the phone is in standby mode. (Long-time Nokia phone users will remember this feature in AMOLED-equipped Symbian phones.) 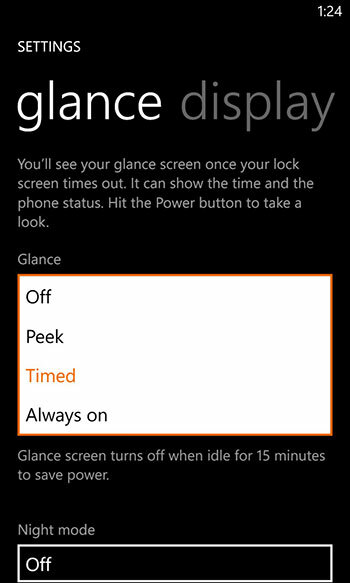 By default, Glance Screen is set to Timed (which means it turns off after 15 minutes of inactivity), but you can change it to Always On. Power consumption should be very low for this always-on display clock, since the AMOLED screen ensures that unused pixels are switched off. And to say that this is an always-on clock isn’t entirely accurate either. We discovered that accelerometer, ambient light, and proximity sensors info are also used to determine if this clock should come on. For example, when we took out the phone after putting it in a drawer for a while, we noticed the whole screen was off. But moments later in the light, the clock appeared. Also, the clock disappeared five seconds after we covered the proximity sensor. Yes, in the grand scheme of things, Glance Screen is a small feature, but we like it - especially for this reviewer who likes to check the time but doesn’t wear a watch. And if you’ve the latest Display+Touch update, there’s now a Peek option that lets you turn on Glance Screen when you hover your hand over the display, a la the Samsung Galaxy S4's Quick Glance function. Sadly, you can’t see notification icons (for things like missed calls, messages, and email) in Glance Screen, though you can see them in the standard lock screen. Hopefully, this and the old Sleeping Screen feature which allows for custom graphics will arrive in a future update. GDR2 (General Distribution Release 2) or Windows Phone Update 8.0.10327.77 or 8.0.10328.78 is the latest OS update for Windows Phone 8 devices; and as we speak, it’s started to roll out to certain devices. 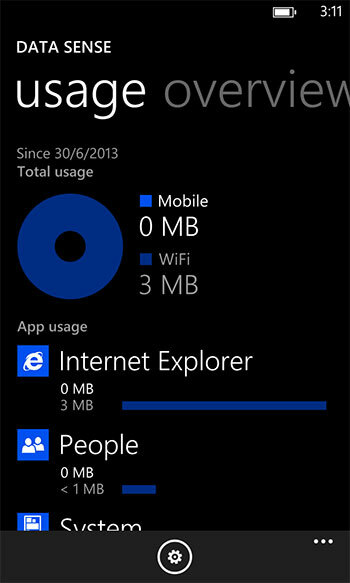 It features Data Sense, which lets you keep track of your phone’s data usage, as well as compresses data in Internet Explorer 10 to keep data usage down; an FM radio; improvements and fixes for Xbox Music, Skype, and IE; the ability to set another app as the default camera app; and support for Gmail’s CardDAV and CalDAV. You can see the change log here. 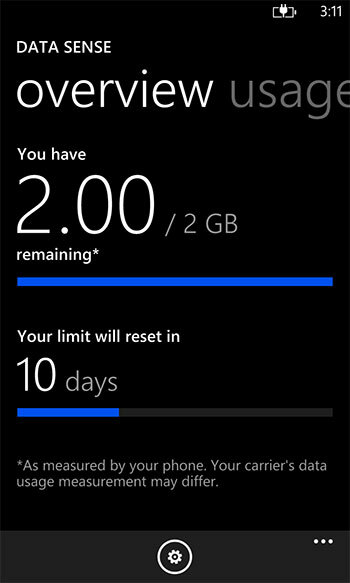 Out of the box, the Lumia 925 already comes with the GDR2 update, which is part of Nokia’s own Lumia Amber update. 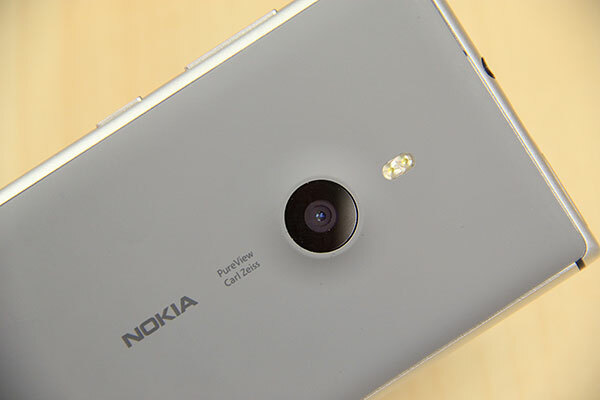 The latter also includes Lumia-specific features, such as the Glance Screen and double-tap-to-wake features we talked about earlier, a Data Sense app, a Nokia Smart Cam app, and some imaging tweaks (more on this later). The 925 is the first Lumia to get this Amber update, which will also be rolled out to most of the other Windows Phone 8-running Lumias in the near future. 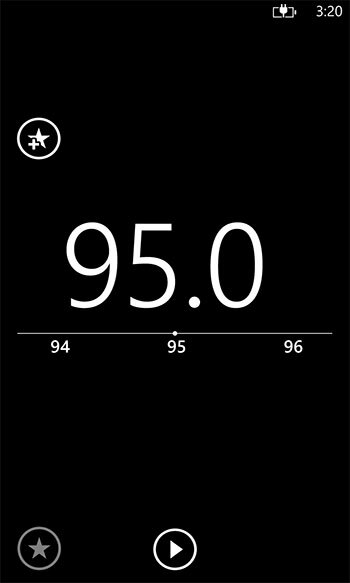 So if you’ve say, a Lumia 920, after the update, you won’t be missing out much software-wise, compared to the 925. Of course, since this is a Nokia handset, we’ve Nokia apps like Here Maps, Here Drive+ (Beta), and Nokia Music. 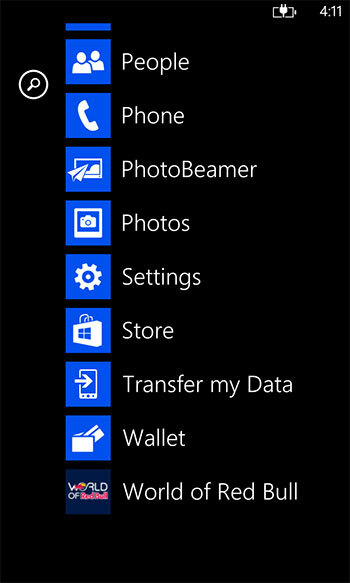 For existing Lumia users, the Amber update doesn’t change the UI side of things much, so you should feel right at home.